This service is available for in-office purchase only. We provide the service information here by consultation. Thank you! Our non-invasive fat-reduction treatment is now available to reduce fat under the chin and contour the neck. See results in just 1-2 visits. Requires no needles, surgery, or downtime. You may also Contact Us for a consultation. The CoolMini™ procedure eliminates stubborn fat safely and effectively, without surgery or downtime. This fat reduction treatment is FDA-cleared procedure to use controlled cooling to safely target and eliminate diet- and exercise-resistant fat for the submental chin and distal thigh areas. 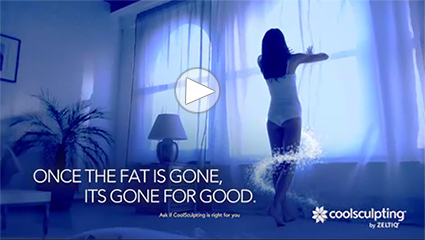 CoolSculpting results are proven, noticeable, and lasting, so you'll look and feel great from every angle. The #1 non-invasive fat reduction treatment can now treat under the chin. Results in just 1-2 visits. Requires no needles, surgery, or downtime.